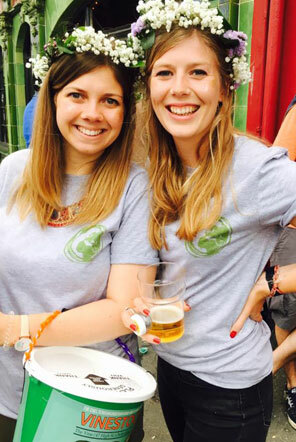 Last weekend we were thrilled to be part of Vinestock – a local Cheltenham based live music event which was raising money for Pod Charity. 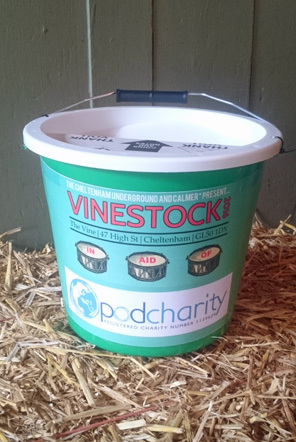 The Vine runs Vinestock every year as “a legendary, genre straddling three day indoor festival” which supports Pod Charity and fundraises for our projects around the world. Lush green turf and straw bales take the place of the pub's usual furniture as they recreate an outdoor festival vibe without the usual worries over the Great British weather. Live music took place all weekend Friday evening, all day Saturday and Sunday. The event is completely free and open to the local community but the team from Pod Volunteer are present all weekend fundraising for Pod Charity, with collection buckets, an amazing raffle, face painting and of course the “guess the number of sweets” competition! This year, we are delighted to say that we raised over £1700! As Pod Charity has no office overheads, we can proudly say that 100% of the money raised will be going directly to our projects around the world. 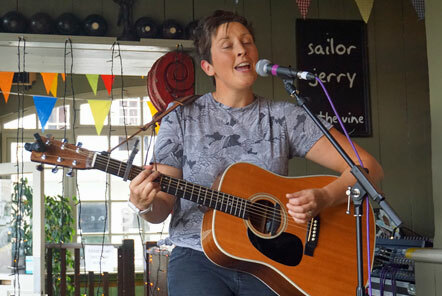 Every penny donated by the wonderful folk at Vinestock will make a difference. We will provide more updates on how this money will make a difference shortly, in the meantime you can click here to read more about how Vinestock 2015 made a difference. 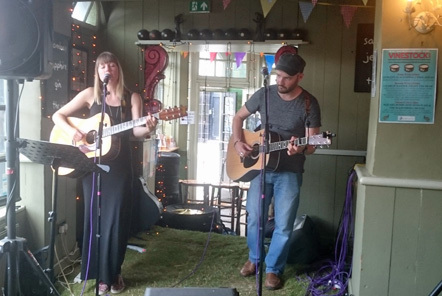 Over the course of this weekend we were treated to some amazing live music, both from local bands and those from further afield! Thank you to The Cheltenham Underground and Calmer* who both worked hard to put an amazing line-up together. We also sold raffle tickets as part of the event which raised a huge amount of money. Thank you to 2000Trees Festival, StudentUniverse, Laura at Kings' Retreat Spa, Hannah Edwards at the RFU, Richer Sounds, Kate Bloom Hair & Beauty, Esme & Zella and the wonderful folk at The Swan, The Railway and The Vine for all donating prizes. Additionally thank you to TypeCraft for donating the printing costs of the tickets. We would like to say a big thank you to all the acts involved: Jack Cooper, Damon T, Brown Torpedo, Kelso, Galloping Cows, Quigley, J&E, Brendan Bayliss & The Bubonic Wind Band, Howard Sinclair, Jazzy Heath, Simplistic Scientists, Tom Mitchell & Sarah Proudfoot, Juey, Stressechoes, Dan Hartland, Kev Alway, Tom Cassidy, The Desperados, Harper's Ferry, Four Dead Crows, Hired Guns, Fight The Bear and Charlie Baxter. Louisa Gayland, The Strays, Plucking Different, Lyrical Lottery, The Dali Males, Horston Longsail, Bex, Lux Aeterna, Chris Cundy, Edd Donovan & The Wandering Moles and Square Bomb. Finally we would like to say a huge thank you to Jack our wonderful sound engineer and all of the hard working bunch at The Vine.